The cargo bike dillema : so useful yet so expensive. At first glance you were intrigued. After perusing images online the drooling began. Now that you have read and heard a few stories of how it has changed the lives of people just like you it is a must have. But oh the heartbreak of discovering your new found love will set you back between $1,000.00 to $6,000.00!! 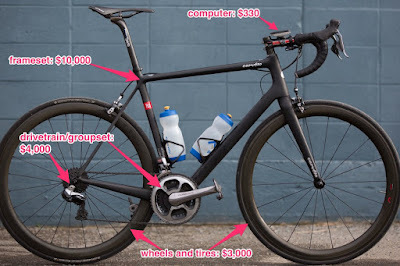 How in the world can I justify spending that much money on a bicycle? Here are seven ideas to help off-set the expense. According to AAA's 2015 annual estimate the cost of operating a small sedan is $6,729.00. 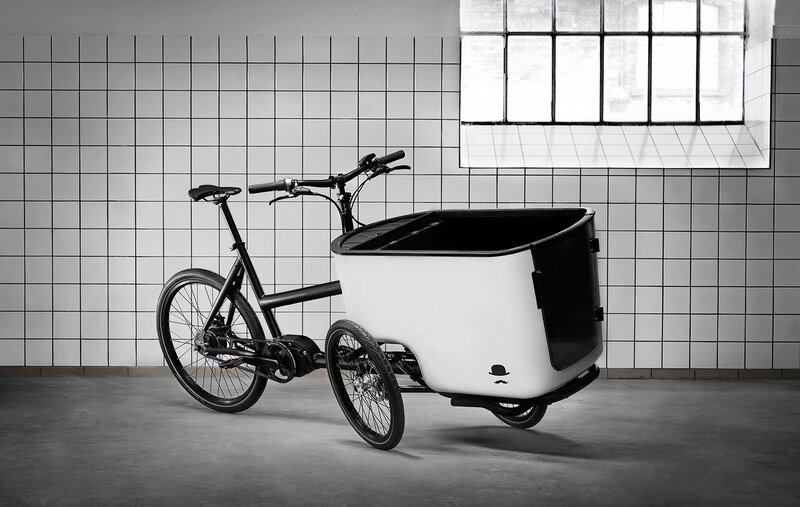 The right cargo bike can replace a car for most tasks. Let's say you could cut that number in half. That is a saving of $3,364.50. Spend that amount or less on a cargo bike. Now bank the savings each month and you've paid yourself back in a year. You are budgeting for gas, tires, oil changes, and tune-ups anyway right? 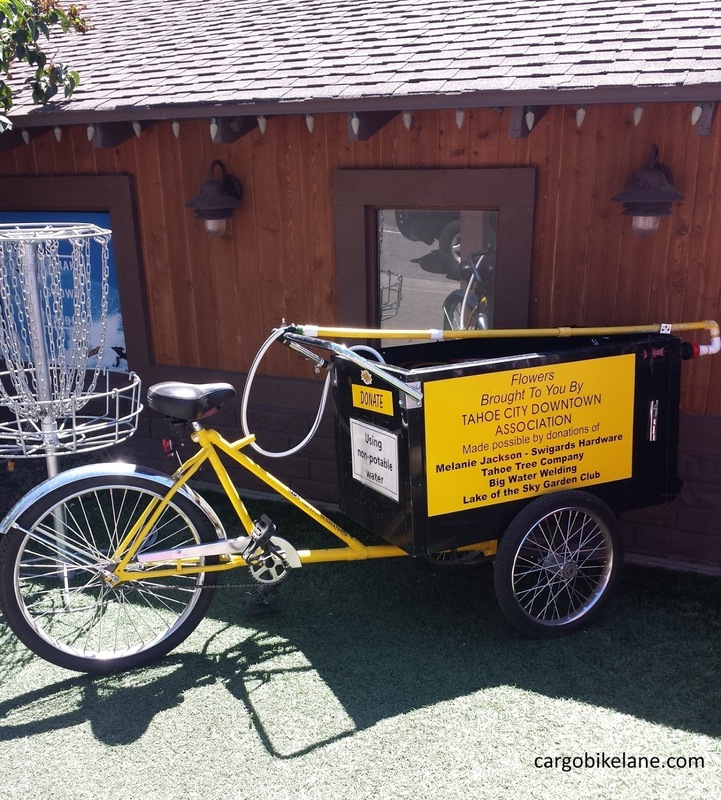 Make deliveries in your spare time. With services like Dashed, Postmates, Doordash and others you can deliver small consumer goods and food by bike and get a paid with no hassles. For the entrepreneurial crowd, work directly with local businesses if you are willing to take a more hands on approach with the back end work. 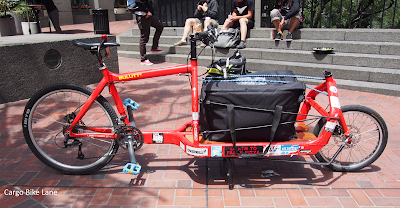 For those that will use a cargo bike to go car-lite, let it make money for you when you're not using it. Peer to peer bike sharing is made easy with Spinlister. Create a profile, name your price, loan it out and get paid. Do be honest with yourself, make sure you can handle strangers riding your trusty steed. Your interest in cargo bikes probably developed when kids came into your life. Parents of young children are the holy grail for many businesses. 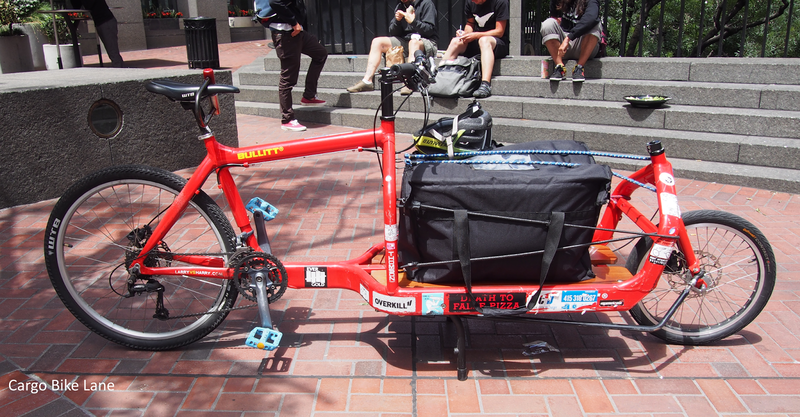 Everywhere you go on a cargo bike you're going to be a spectacle so use the attention to your advantage. Bakfiets and longjohns in particular have built in panels where your stuff or kids sit. Strike a deal with the local dentist, karate dojo or baby store for putting their information on the front or sides of your new conversation piece. What business owner wouldn't want to be on a billboard that rolls right into the park, (insert sport) practice, or birthday party full of parents? 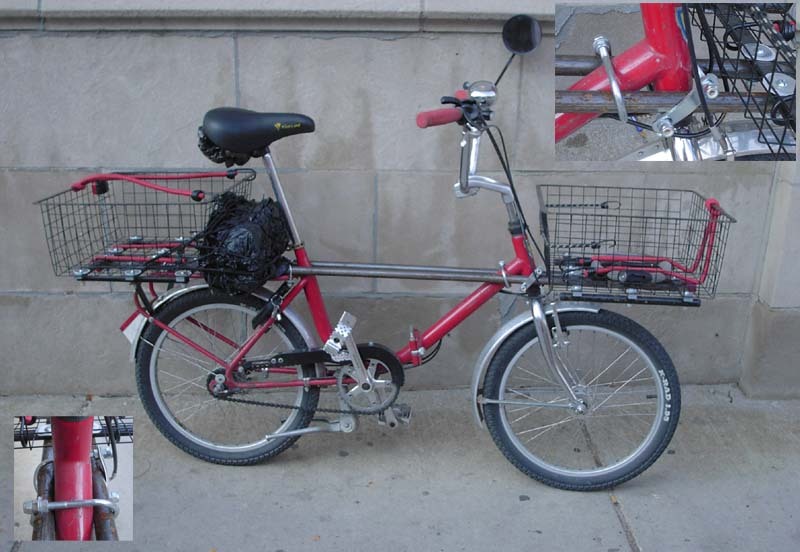 With the North America cargo bike market being so small this may be a challenge. Keep tabs on listings Craigslist and Ebay. You may even have better luck in Facebook groups like Cargo Cyclist and (R)Evolutions Per Minute. There's other good news. 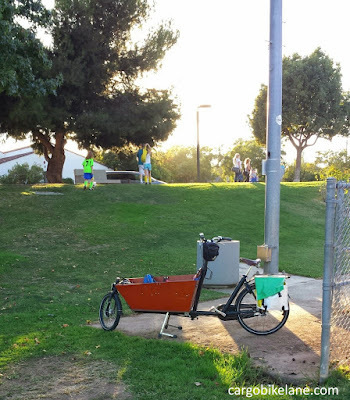 The children of early adopters who bought, now closing in on a decade ago, are out growing their cargo bikes. If mom and dad are not die hard carfree people it may go up for sale. Pounce because a good one won't last long. I saved this for next to last because it is probably the least desirable way to purchase. On the bright side if you apply some of the other ideas you can pay off the loan faster, avoiding more interest. Check with your local bike shop. Enthusiast racers buy tri-bikes need loans too. Lastly, stop by your HR department at work. Ask if they have a commuter fringe benefit plan setup. 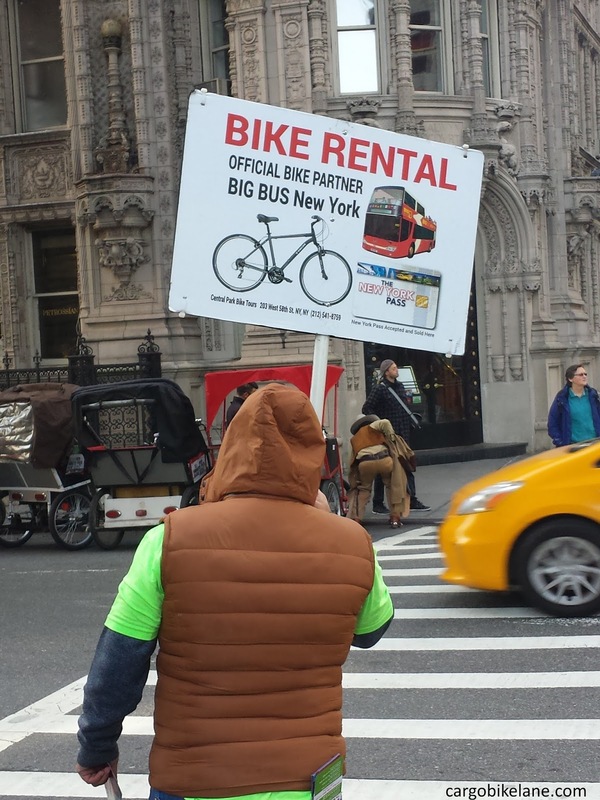 You can be reimbursed up to $20.00 per month if you ride your bike to work. It's not much but every little bit counts. A less likely option is a "Parking cash out" program. Does your employer pays for some or all employee parking cost at your place of business? If yes, and you opt out of that benefit they pay you the cash equivalent of that benefit. 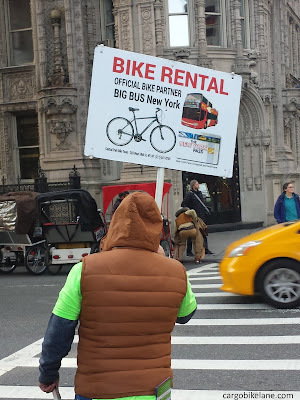 In a downtown office or other high rent district this could make biking to work lucrative. Example: Employer covers the $75.00 per month cost of a parking space and you elect to ride your bike to work instead. Cha-ching! You get $75.00 per month in liue of a parking space. Before you get to excited there are a bunch of stipulations for this one. Your mileage will vary based on your state, city, employer size and other factors. 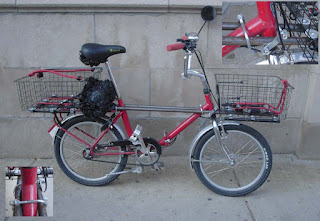 Conversion options range from this hardware store special on the left by Alex Wilson at West Town Bikes to purpose built kits like Xtracycle's Leap.The manufacturer's directory has more choices to review. 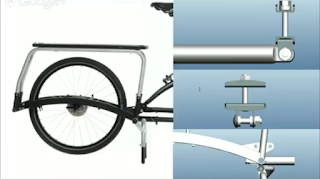 Which of these methods would you use to finance your cargo bike purchase? What methods have you used to pay for a bakfiets?